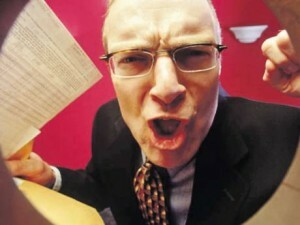 What makes a professional debt collector? From the timeliness and accuracy of reporting to collection strategy, there are many elements that determine the professionalism and success of your debt collector. Do you know who is collecting your bills? Reporting – Over the decades, I’ve had some clients tell me they really don’t want to receive highly stylized professionally written reports on the status of their cases – they ONLY want to see the color GREEN at the end of the day. However, I’ve had more clients on the other side of the fence – those who want to be kept up to date in a consistent and timely fashion. In fact, the standard was for me to beat the client’s request for an update and get them the desired reports before they would even ask for one. Strategy – Another element of consideration was the development of a sound collection strategy for each unique case being given to me for collection efforts. Sure, anyone could merely pound the telephones with one volume call after another in an assembly line fashion, but it took a professional attitude to fully understand the client’s case and what would be needed to collect – that combined with the skill of being a good “listener”. Experience – My clients were always professionals who demanded professionalism on my part, too. Consequently, I always took the approach of seeking out organizations to improve my performance. Participation in the Commercial Law League of America, the International Association of Commercial Collectors, the California Commercial Collection Association, and others provided me with wonderful background on our industry’s standards. Attending meetings of those organizations on a regular basis has been essential. However, further participation in organizations from the creditors’ viewpoint was essential, too – The Finance, Credit and International Business Association, and The Association of International Credit and Trade Finance Professionals gave me the needed grounding to look at things through the lens of my clients’ magnifying glasses. Attending their meetings taught me how to recognize what my clients would want before they would even ask me and that, too, became essential. Client First – The hallmark of whether or not your bill collector is a professional ultimately comes down to his own recognition of putting his client’s interests at the forefront of the business model. If I could represent a client with a full on effort, ethically, with full compliance with our state and federal laws, develop a sound game plan for each case and then ACTUALLY COLLECT MONEY, I went home each day with an enormous sense of satisfaction. Does your bill collector have those traits?